eWay-CRM add-in is inactive in the add-in settings. Even though, if you activate it, it is still inactive. The add-in must be reactivated. Check whether there is the eWayAddin.Connect. If the key exists, you need to erase it. 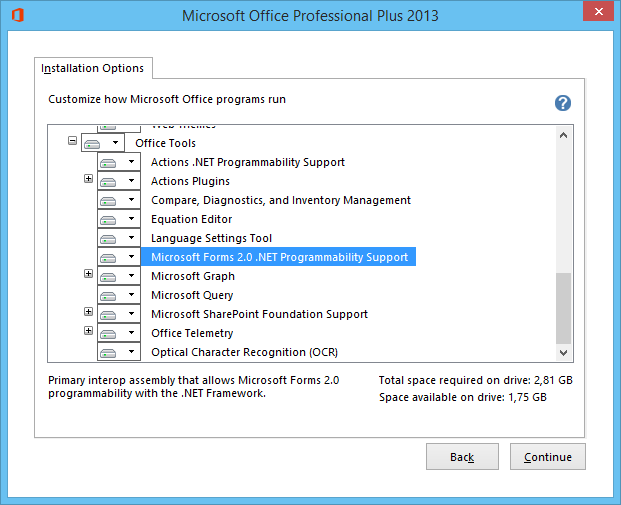 If the first option won't work, you need to check whether there is not an old version of MS Office still installed. If the older version is installed, remove it. In some cases, the error is caused by the MS Office and some damage in an application of the package. Please, go to this article to repair MS Office. System.IO.FileNotFoundException: Could not load file or assembly Microsoft.Office.Interop.Outlook, Version=11.0.0.0, Culture=neutral, PublicKeyToken=71e9bce111e9429c or one of its dependencies. The system cannot find the file specified. If you have the eWay-CRM version lower than 3.9, the problem could be solved by updating of your eWay-CRM to the 3.9 version or higher. You need to download file from this link: http://download.eway-crm.cz/fix/PIAs.zip. 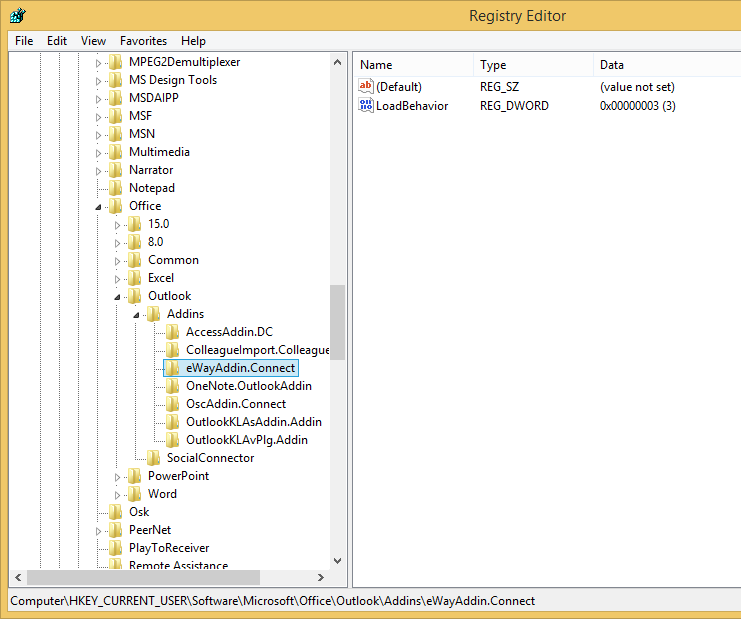 Copy downloaded files to the eWay-CRM install folder.